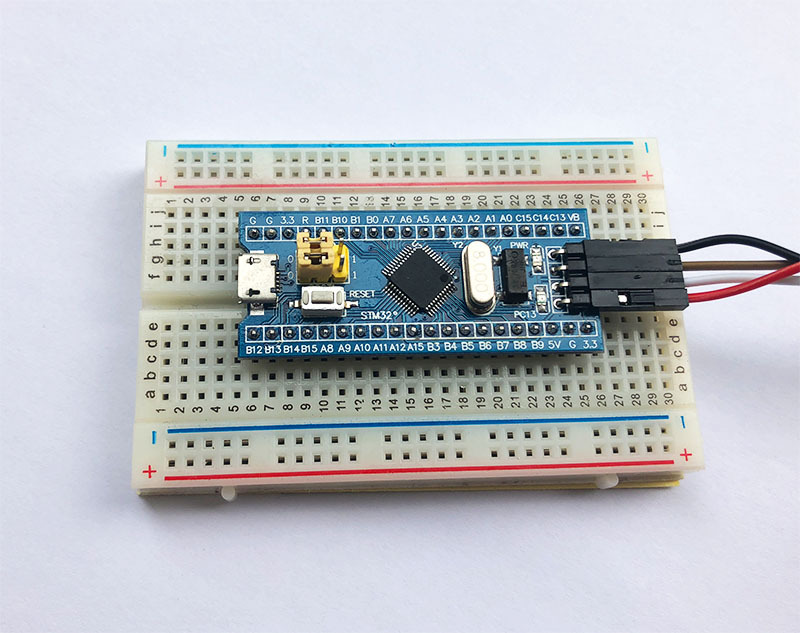 In this tutorial we are going to program a stm32f103c8t6 development board, nicknamed “Blue Pill” with Arduino. 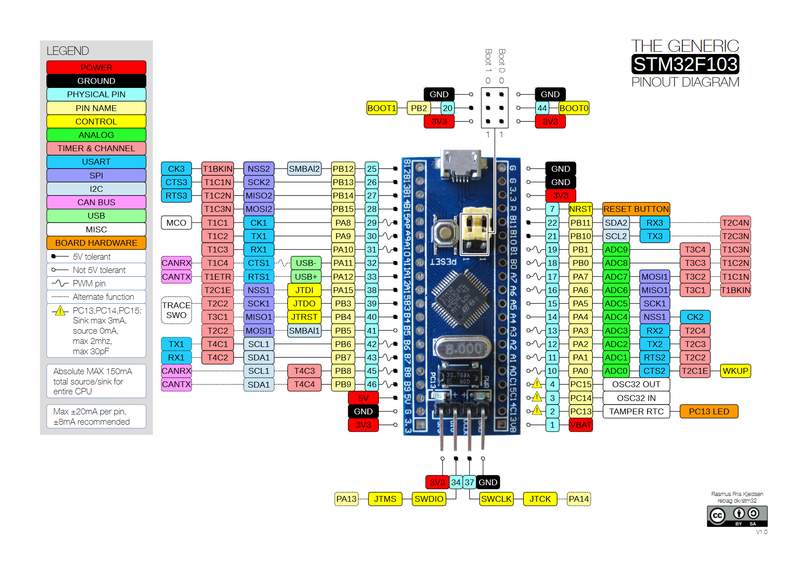 When looking at a few pages on the STM32; I was a bit skeptical on how easy it would be to program this board. I have seen tutorial where you need to fiddle with the onboards jumpers; then strategically press the reset button. That seemed really not user friendly. In fact; it is really easy to program the blue pill board, and none of this gymnastic is actually necessary. Here’s a simple, no frills tutorial on how to get you started! They can be acquired off Aliexpress, eBay and many others. STMicroelectronics sells their own ST-LINK/V2, which can be bought for under US$25 from official retailers such as Mouser and Digikey. However, this piece of hardware has been reverse engineered and you can find fully compatible “emulated” ST-Link for about US$2 from the typical Chinese resellers. Chances are the shop that is selling the blue pill board also sells a ST-Link. 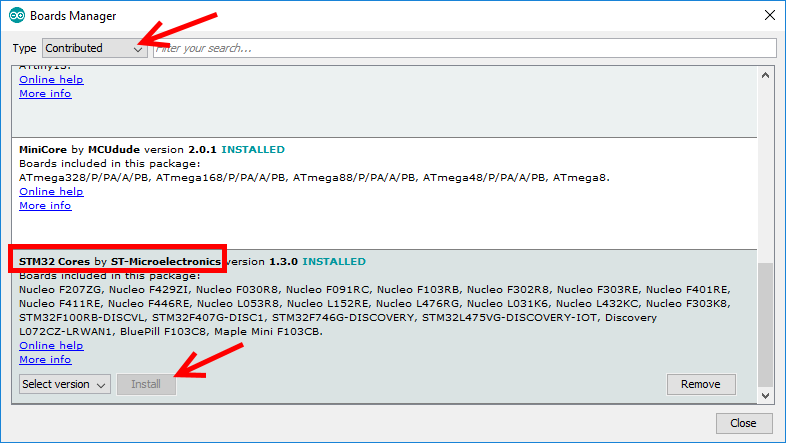 From a hardware perspective it is nothing more than a USB to SWD (Serial Wire Debug) interface. These cheap copies do not provide a full 20-pin JTAG connector; but it is not needed for this Cortex M3 based micro-controller; so it is perfectly adequate for the job. 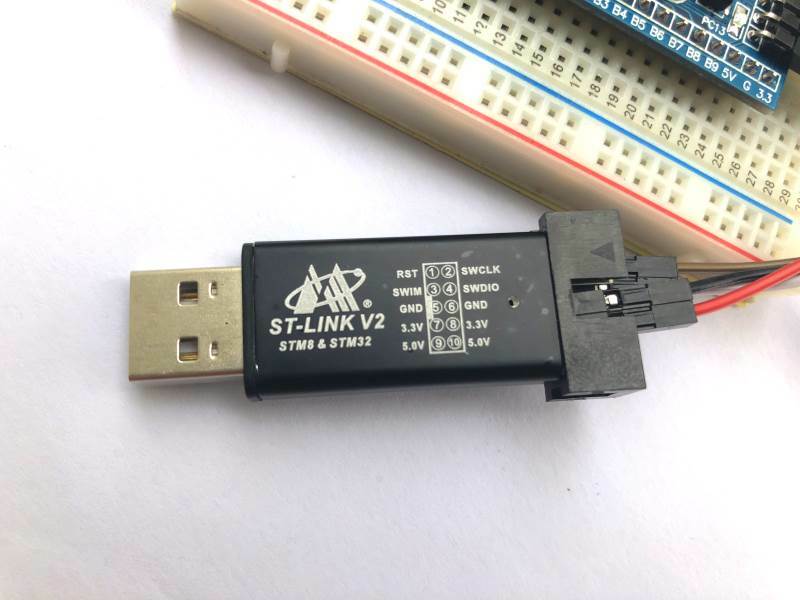 If you’re coming from the Atmel/AVR Arduino world; just think about this ST-Link as an equivalent to the STK600 programmer. The installation might take a while. 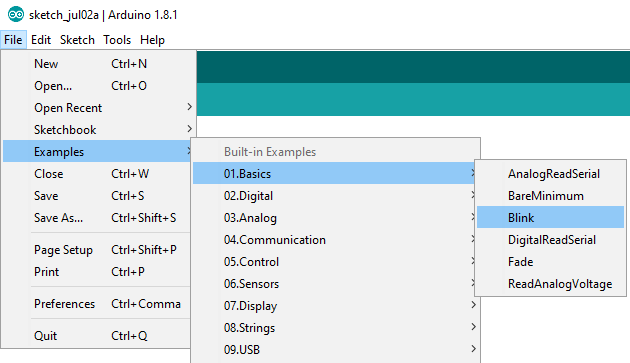 The Arduino software will download a complete ARM debugging/compiling toolchain which spans a few hundred megabytes. 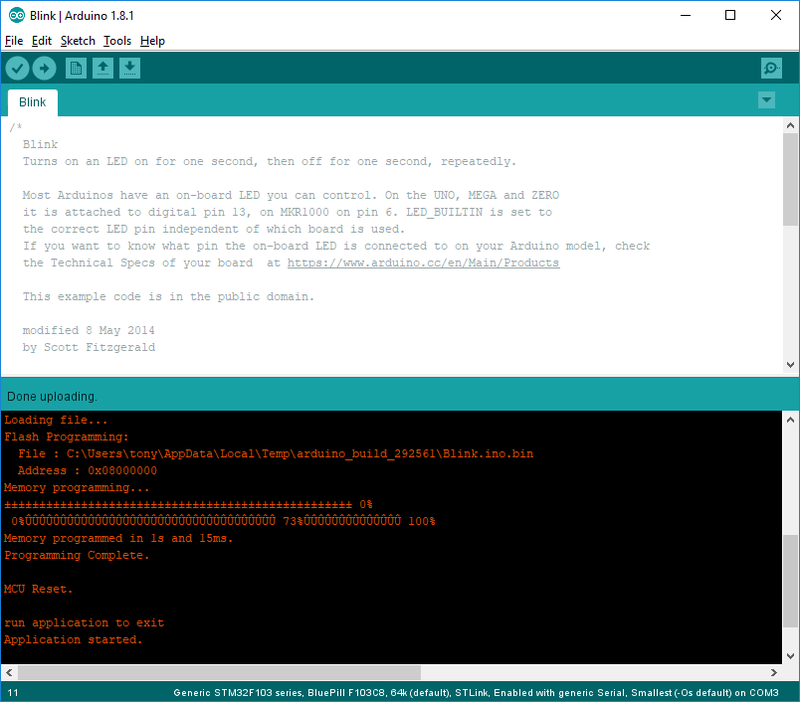 In the meantime, you can check out the awesome Arduino core Github page project that gives a lot of details about what you’re actually installing. It’s also worth checking out out the licenses; which is a mixture of mostly free and copyleft but you should review it before trying to make any commercial application with this piece of software. To make sure everything works properly; you can try loading the “blink” example. The Blue Pill is pretty much devoid of any on board peripherals, but it has at least an on board LED. 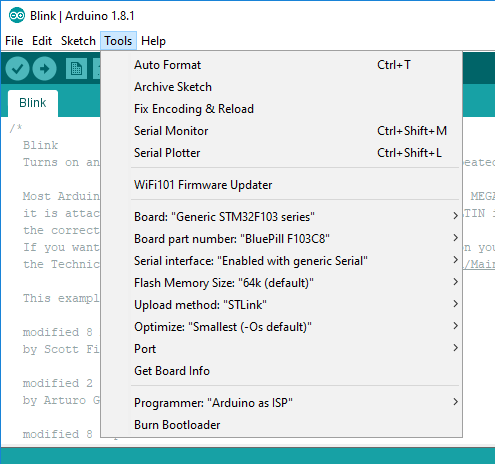 From the Arduino menu, click on File/Examples/01Basics/Blink. Note: My STM32 board came pre-loaded with a blinking sketch. 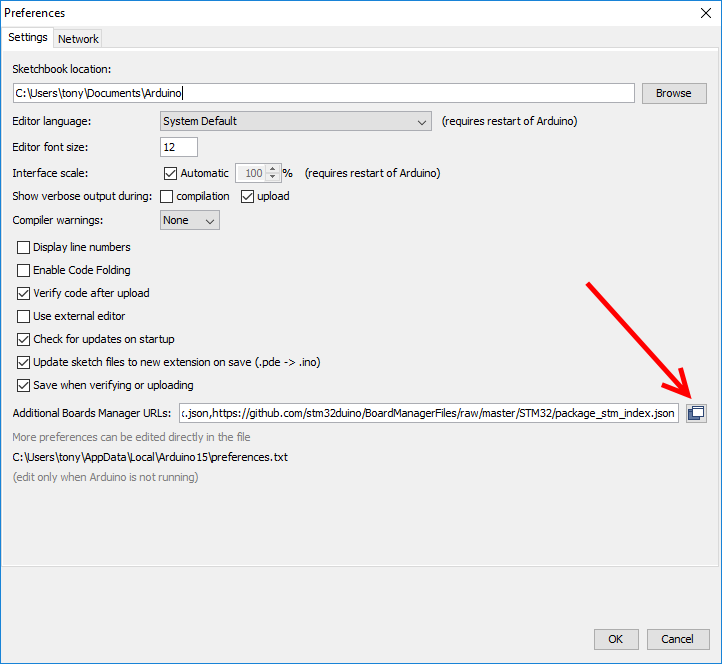 To make sure your upload was actually successful and not running the default program on your board, try varying the blinking speed by playing with the values in the “delay” calls.